The young/old body-switching premise has been the basis for many films, with “Big” the most successful, along with audience pleasers like “13 Going on 30,” “Vice Versa,” “17 Again,” and four versions of “Freaky Friday.” There is still plenty to explore on this theme, but “Little” misses most of those opportunities in favor of obvious and borderline skeevy jokes about young Jordan coming on to her handsome hunk of a middle school teacher (Justin Hartley), singing tipsily in a restaurant, and being spanked by April. The underwritten middle school scenes are just the usual mean girl versus the kids at the un-cool table in the cafeteria, though Martin shows off some cool '90s dance moves in the school talent show. Hall and Martin do their considerable best, but Rae's April is the far more interesting character. Rae makes the most of the comedy and the more thoughtful exploration of April’s growing confidence in her own voice. 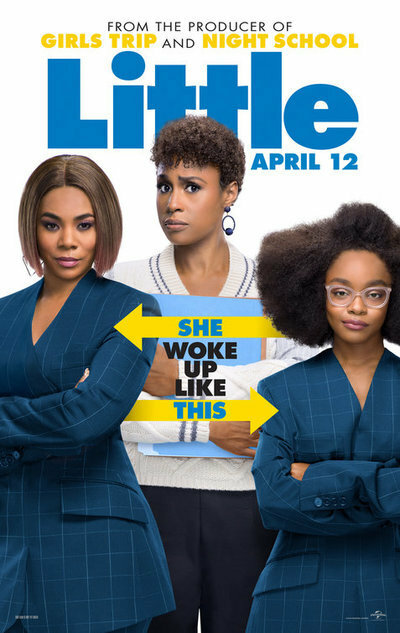 In “Little,” the real story is not the mean girl who gets younger but the assistant who grows up.